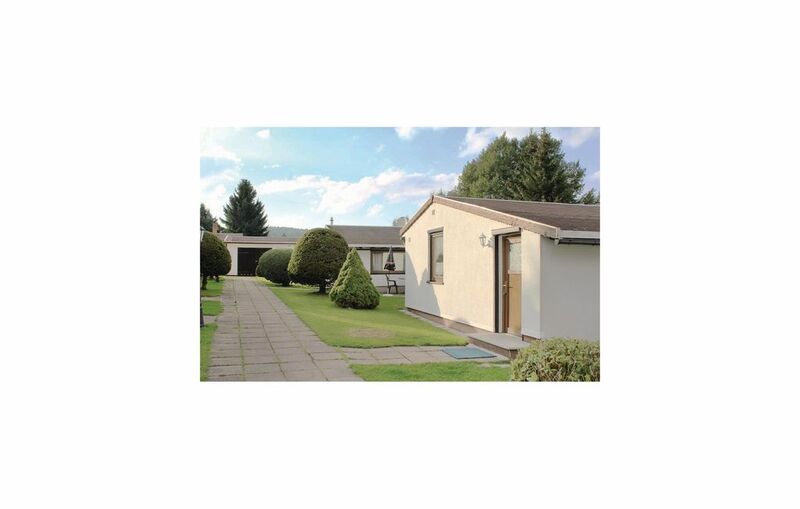 This family-friendly holiday home is located in Großbreitenbach in Thüringen and is a part of an attractive residential holiday park. Enjoy wonderful days in the bungalow with a huge garden. The guest room called “The Burrow” offers a social atmosphere. You can make use of the leisure area with play equipment, bowling area and loungers. Bicycle rentals are available on the property. The Ilm Rennsteig, a cycling trail that connects the landscape, a shooting stand and a model airfield that are available on the holiday park grounds on request. There is an open, huge outdoor pool in the neighbourhood. You can also undertake trips to the cities of Ilmenau, Erfurt, Weimar, Saalfeld and Eisenach, where you can enjoy various activities. Visit the model aircraft museum in the resort where you can take up a course for beginners in the biathlon centre – Andrea Henkel.